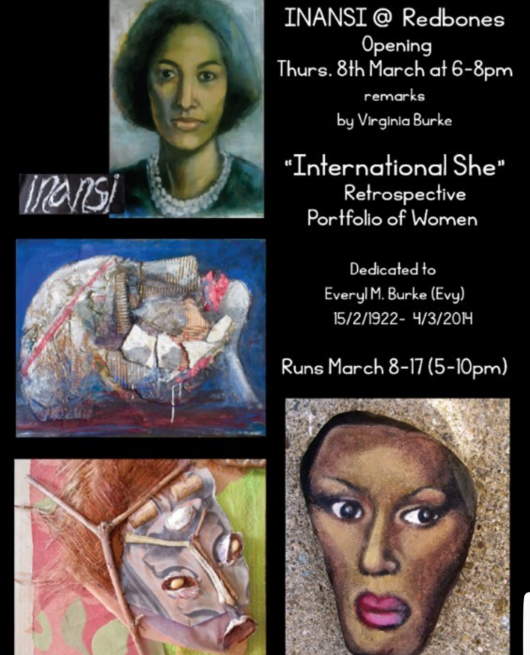 "International She" a portfolio of women. This 50 year mini retrospective comprises women from the life drawings and fashion sketches of the vintage 60s portfolio through JamRock prints to clay, wood and present mixed media collages. The exhibition includes a number of canvases. Inansi is a mixed media visual artist residing in Jamaica.